As incredible as it looks! 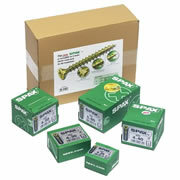 For universal use in wood, chipboard, MDF, Plastic and even thin metal sheet. 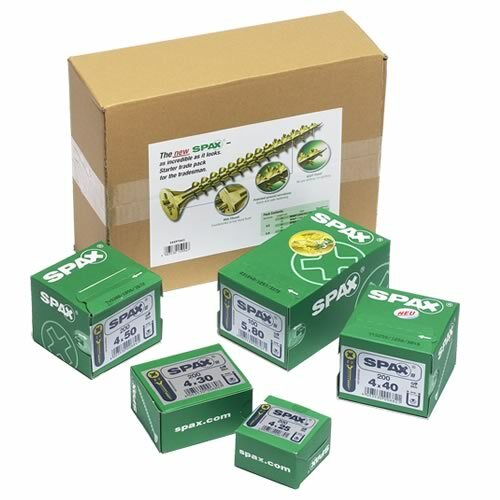 Spax woodscrews not only stretches the material out, it divides the fibres while the thread with the optimised ground serrations drive the screw on. This prevents the material from splitting. Cutting ribs help the head countersink. 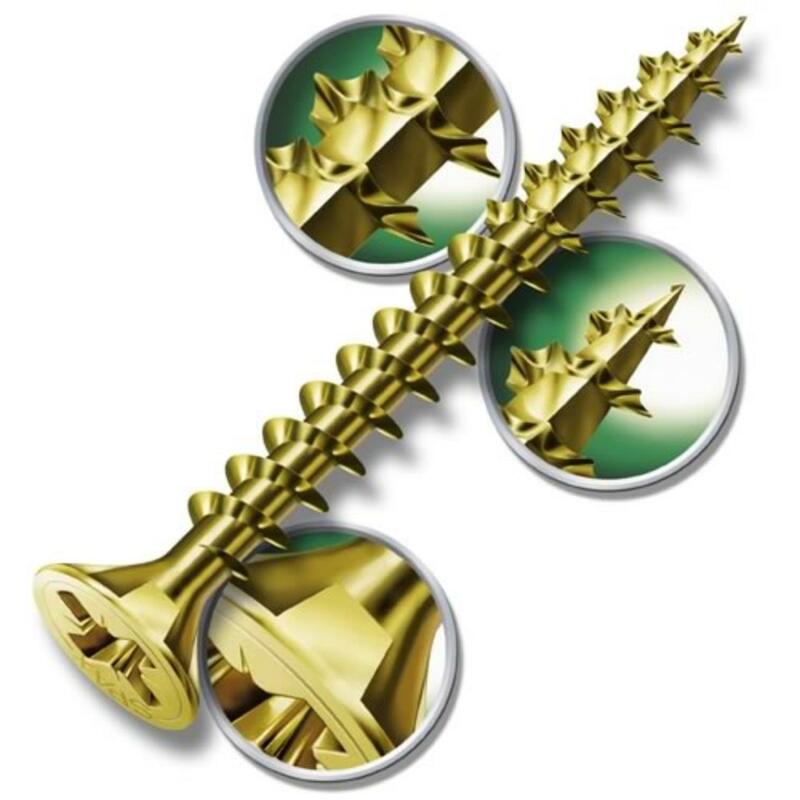 Screw head ribs help reduce the thread being stripped when fixings hinges etc. Deeper recess for stronger bit hold. No Splitting even when working close to the edge. No pre-drilling required even in hard woods. Screw point takes immediate hold. Hard Synthetic coating for easy driving.